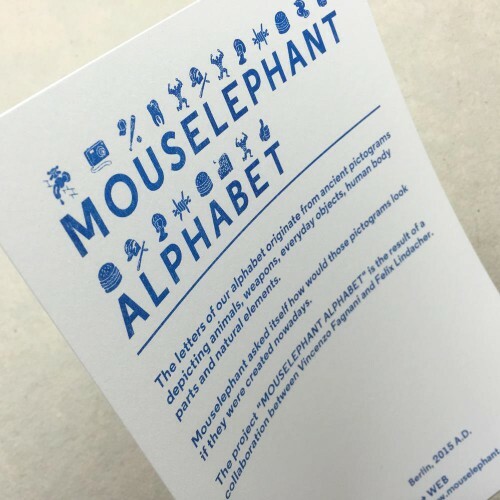 The letters of the Mouselephant alphabet originate from ancient pictograms depicting animals, weapons, everyday objects, human body parts and natural elements. 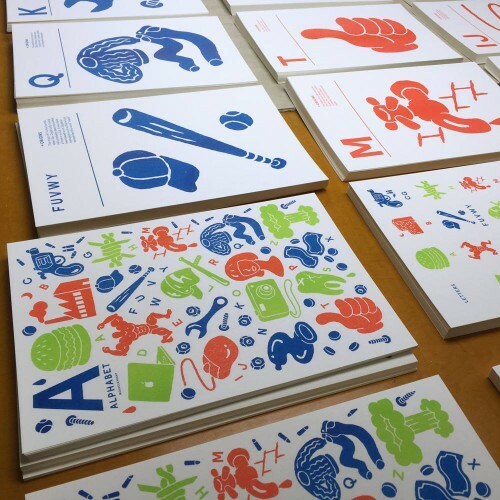 Mouselephant asked itself how would those pictograms look if they were created nowadays. The project is the result of a collaboration between Vincenzo Fagnani and Felix Lindacher. We did the ‪riso‬ print for this nice A5 card set and an A3 poster in blue, red and light green on 175 gr. ‪‎Metapaper‬ Extrarough.